The report that the Elder Mill and Elder Mill Bridge as well as the Athens Line--the rail line running through the county--have been designated as Regionally Important Resources met with less than an enthusiastic response from Oconee County commissioners Tuesday night. Lee Carmon, planning director and general counsel for the Northeast Georgia Regional Commission, told the Board of Commissioners at its agenda-setting meeting that only two resources had been nominated for Oconee County and both had been accepted by the Commission's Planning Advisory Committee. 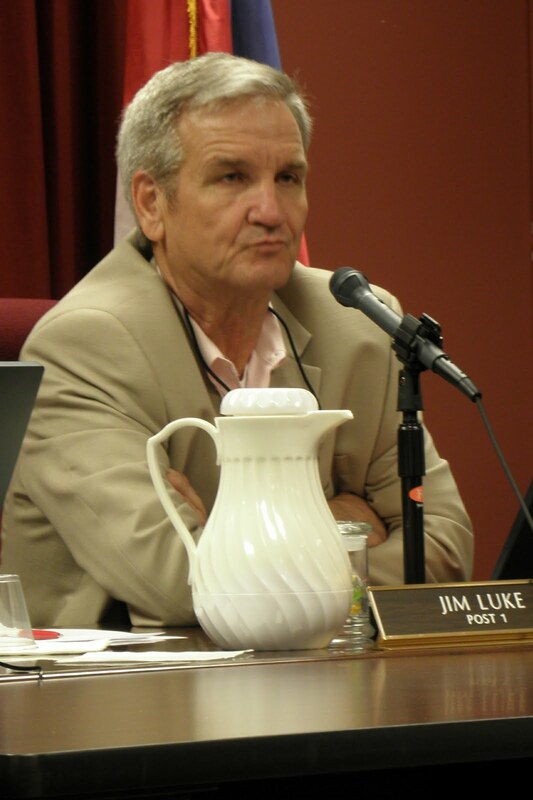 Commissioner Jim Luke and Chairman Melvin Davis said they were concerned about the rail line, since it meant that development within a mile on either side of the line could be affected by requirements that the line be protected. Commissioner Margaret Hale was concerned that she had not been involved in the process. Commissioner Chuck Horton said he was concerned that private property could be designated as a Regionally Important Resource without the approval of the property owner. The rail line was nominated by Tony Glenn of Farmington, an avid biker. Glenn told me tonight in a telephone conversation that he made the nomination as an individual. The line could be used for hiking and biking in the future. Elder Mill and Elder Mill Bridge were nominated by Russ Page, John English, Robert Jahn and Melissa Steele, the leadership of a group called Friends of Elder Mill and Elder Mill Bridge. Carmon said that the Planning Advisory Committee reviewed 37 nominations. “The vast majority were from counties,” she said. “We had a few from individuals and a few from organizations." Carmon said that the two Oconee County selections were among the 24 sent forward for further review by the Regional Commission Council. (The web site lists only 23 selected nominations.) Final decisions will be made in September, she said. If the two Oconee County sites were to make the final list, large-scale development projects in the county that meet a set standard in terms of size would have to provide some protection for the rail line and the bridge and the mill. The mill is in private hands, but it and the bridge were at the center of a park proposed by the county in 2007. The Board of Commissioners has not endorsed the park concept and has been unwilling to put any money into it. BOC members have stated their desire to acquire the mill at some point and to continue to protect it and the covered bridge. The review of regionally important resources is dictated by the Georgia Department of Community Affairs. The Athens rail line, Glenn said, dates back to 1888 and was instrumental in the history of Farmington. The line from Bishop to Madison is not in use, he said, though it has not been declared as abandoned.